If you’re looking for sports or events tickets for the world’s top events, matches, shows or sports – look no further. Whether it’s for the WORLD CUP 2014, 2015 CRICKET WORLD CUP, WIMBLEDON 2014, F1 GRAND PRIX, the world’s top soccer clubs, the Champions League, Davis Cup, Federation Cup, NFL, Rock and Pop Concerts, and much, much more, we can get you in! Choices of tickets to most of the world’s premier events are available here! 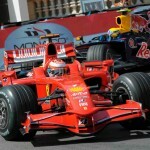 Out of all the Formula One Grand Prix around the world, there has always been something special about the Monaco F1 Grand Prix. The glamour and excess that resonates around the sport is simply amazing. The jewel in the crown of F1, truly an incredible experience not to be missed. Choose from a range of hospitality options, Shangri-La or Heracles Terraces, Single night trips, luxury yacht hospitality, private jets, hotels and much more.